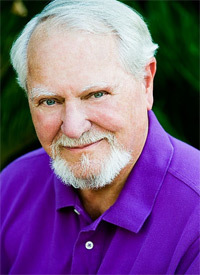 Clive Cussler, the Grand Master of the American action adventure novel, grew up in Alhambra, California. He later attended Pasadena City College for two years, but then enlisted in the Air Force during the Korean War where he served as an aircraft mechanic and flight engineer in the Military Air Transport Service. Upon his discharge, he became a copywriter and later creative director for two of the nation’s leading ad agencies. At that time, he wrote and produced radio and television commercials that won numerous international awards one at the prestigious Cannes Film Festival. Cussler began writing in 1965 and published his first novel featuring Dirk Pitt® in 1973. His first non-fiction work, THE SEA HUNTERS, was released in 1996. Because of this work the Board of Governors of the Maritime College, State University of New York considered THE SEA HUNTERS in lieu of a Ph.D. thesis and awarded Cussler a Doctor of Letters degree in May of 1997. It was the first time since the College was founded in 1874 that such a degree was bestowed. Cussler is the founder the National Underwater & Marine Agency, (NUMA) a 501C3 non-profit organization that dedicates itself to American maritime and naval history. Cussler and his crew of marine experts and NUMA volunteers have discovered over 60 historically significant underwater wreck sites. After verifying their finds, NUMA turns the rights to the artifacts over to non-profits, universities, or government entities all over the world. Some of these finds include the C.S.S. Hunley, best known as the first submarine to sink a ship in battle; the Housatonic, the ship the Hunley sank; the U-20, the U-boat that sank the Lusitania; the Cumberland, sunk by the famous ironclad, Merrimack; the Confederate raider Florida; the Navy airship, Akron; the Republic of Texas Navy warship, Zavala, found under a parking lot in Galveston, Texas; and the remains of the Carpathia, the valiant ship that braved icebergs to rescue the survivor’s of the Titanic. In addition to being Chairman of NUMA, Cussler is a fellow in both the Explorers Club of New York and the Royal Geographic Society in London. He has also been honored with the Lowell Thomas Award for outstanding underwater exploration. A noted collector of classic automobiles, Cussler owns 85 of the finest examples of custom coachwork and 50’s convertibles to be found anywhere. They are garaged near Golden, Colorado at the Cussler Museum. Today, Cussler divides his time between the mountains of Colorado and the deserts of Arizona. Cussler’s books are published in more than 40 languages in more than 100 countries with a readership of more than 125 million avid fans. A complete list of Cussler’s works is found below. More information on his books can also be found at Clive Cussler Books.